Broccoli isn't everyone's favourite vegetable but there is no denying that it's packed with health promoting nutrients. 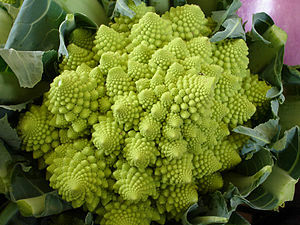 And besides, if you are bored eating the standard green varieties consider trying the Purple Sprouting Broccoli or the even more exotic Romanesco natalino. 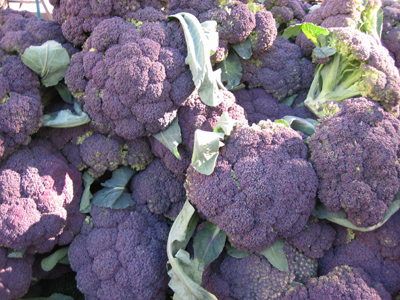 As a rule of thumb, broccoli varieties are heavy feeders, preferring a well-drained soil rich in organic matter. To get the best out of your crop it is best to start your site preparation the autumn before planting. Broccoli also prefer a site in partial shade with a soil pH between 6.2 to 7.2. To prepare the soil, add a couple of inches of organic compost or well rotted manure to the ground and work it in - removing any large stones that turn up. Add lime - if necessary – to balance out the pH as your broccoli crop can fail if the soil is too acidic. You can check the pH of your soil using an 'off the shelf' pH testing kit obtained from any good plant retailer. Once finished, tread over the soil to remove any air pockets, firming up the soil surface. TIP. Autumn plantings of broccoli tend to do well following an earlier planting of peas or beans as these crops will naturally increase nitrogen levels with the soil. 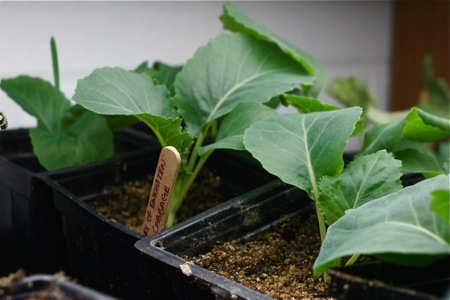 Broccoli seeds can be 'direct sown' outside when temperatures are as low as 4°C, but temperatures of 7°-29°C will be more preferable for successful germination. Aim to sow broccoli seeds in ½ inch deep in rows spaced 6in apart and cover with soil, lightly firming with the head of the rake. Mark both ends of the row, labelling one end with the variety and date of sowing. Keep the seedbed moist, always use a fine spray. When the seedlings are about 1 inch tall, thin them out to about 3 inches apart in the rows. This will stop overcrowding which would otherwise causing the seedlings to become weak and spindly. The seedlings are ready to plant out when they are about 4 to 6 inches tall. Water the bed the previous day before removing the Broccoli seedlings to their permanent position. 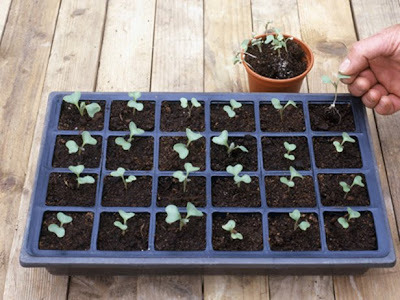 If you have a greenhouse, cold frame or cloches - it is probably going to be easier to sow your broccoli into seed trays under protection. Sow broccoli seed in a tray filled with a good quality compost such as John Innes 'Seed and Cutting'. Water thoroughly and place them inside your greenhouse, cold frame etc. When the first two leaves have formed prick them out into 3 pots filled with potting compost. Plant them into these pots a little deeper - to just below the two leaves - water in well. Broccoli seedlings sown under protection will also be ready for transplanting outside once they have reached between 3 - 5 inches high. Make sure that your protected broccoli seedlings are hardened off for at least a week or two before planting outside to make sure that they are tough enough to cope with ‘real’ weather conditions. Broccoli like a firm bed so transplant them firmly and about 1 inch deeper than the growing Broccoli were when in their pots. Leave a gap of about 18 inches between plants. Water the broccoli the day before transplanting, water the hole you have created for the vegetable prior to planting, and keep well watered once outside until they are established. TIP. Avoid growing broccoli on the same piece of ground more often than one year in three, as this will help to avoid the buildup of soil pests and diseases. TIP. Broccoli are a particular favourite of birds so use an appropriate and safe deterrent to stop them from picking off your seedlings. Broccoli are also susceptible to attack by the caterpillars of the cabbage white butterfly. Try covering crops with a crop protection mesh. It keeps the butterflies out, so they can't lay their eggs on the plants.